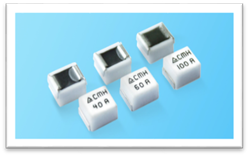 AEM Components introduces a new line high-current, high-power density solid body fuses. The new CMF Series is available in both commercial and automotive grade versions, each with part numbers with ratings from 20A to 100A@125 Vdc. All models in this series are offered in the same 2822 surface-mount package. This standardized footprint for all models is a great benefit in platform design. The CMF Series also boasts industry-leading volumetric efficiency (178 mm3) and safe power density (506 VA/mm3@100A) which is about 3 times higher than the existing products in the market. The CMF Series offer the best-in-class DCR ratings (1.85 mOhms@20A and 0.41 mOhms@100A) which limits excessive overheating due to temperature rise; high interrupt ratings (1500A@60Vdc/250A@125Vdc) and clearing time characteristics (250% < 60s) to support exceptional inrush current withstand capability and a wide operating temperature (-55C to 125C). "The two major concerns with high current SMD fuses are the diversity of package sizes and safe power density," reports Dr. Liwu Wang, AEM Components' Director of Business Development. "AEM's new CMF Series commercial and automotive grade fuses address both issues with performance that sets a new standard." The CMF Series builds on AEM components advanced manufacturing technology. The solid, robust structure of these fuses assures reliable operation in environments where temperature cycling and high mechanical vibration are present. The patented compact design in construction and arc suppression materials make achieving one of the best safe power density in high power applications. The devices singular fuse link/terminal construction eliminates problems that occur with traditional ceramic tube interconnection techniques. 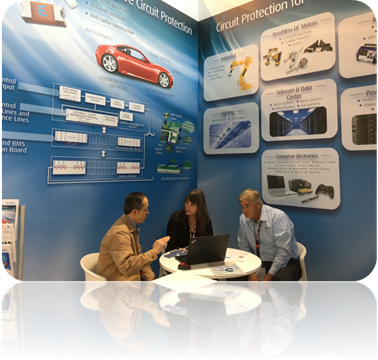 AEM's new technology and products in SMD fuse are very well impressed by the customers and media presses during the Electronica show. Sample quantities of the competitively-priced CMF Series are now available. Full production of the commercial grade series is scheduled for early 2019. Automotive grade versions are currently undergoing qualification testing to AEC-Q200 and production quantities are expected to be available in Q3 2019. 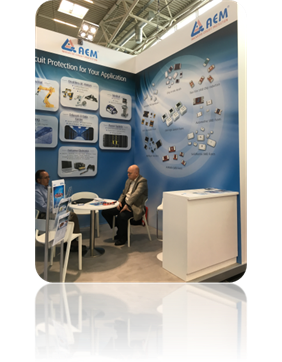 About AEM Components (USA), Inc.
With over 30 years of experience, AEM Components (USA), Inc. has become a leading manufacturer in the surface mount electronic components industry, and it is one of the few companies to have its own unique technology platform. AEM's surface mount fuses; ESD suppressors and multilayer varistors (MLVs) provide circuit protection for commercial, industrial and automotive electronic products. The company also offers chip inductors and beads for electromagnetic (EMI) signal filtering. AEM possesses patented process technologies as well as proprietary nanoparticle composite material technologies, equipment technologies and computer simulation capabilities. 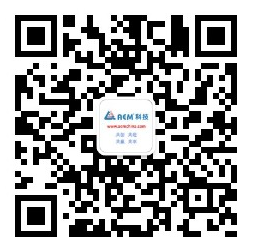 AEM houses research and development centers, manufacturing facilities and sales offices in the United States and throughout Asia. More information about AEM can be found at www.aemcomponents.com.